All units offer rental assistance subsidy through the USDA Rental Assistance program. Qualified applicants pay 30% of your adjusted income. 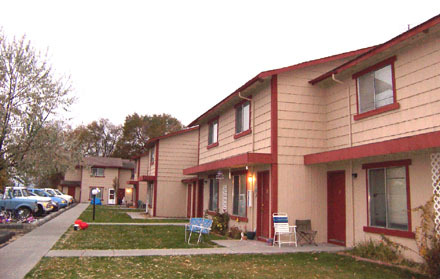 Here at Coulee City Gardens Apartments we offer the comfort of home in our spacious apartments. Our beautiful grounds and friendly staff and tenants contribute to the coziness of our community. Walking distance to the local grocery store, post office, library, schools, restaurants, bus stop and to the South end of Banks Lake for Summer days. Office Hours: Monday-Friday 10:00 a.m.-1:00 p.m.
Water, garbage & sewer paid, utility allowances, air conditioning and laundry facility on site. We do a background screening. The cost is $40.00 per adult, and $12.00 for children ages 12-17 years old. All units offer rental assistance subsidy through the USDA Rental Assistance program. Your rent will be based on 30% of your adjusted income between the rents listed. Must be income qualified.